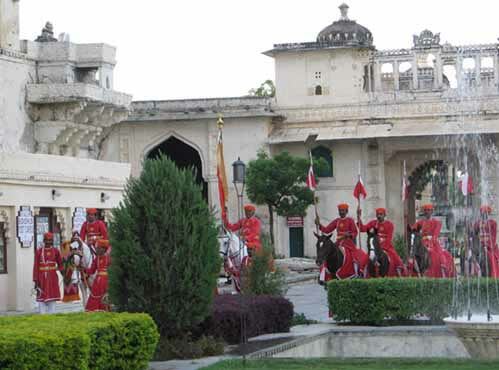 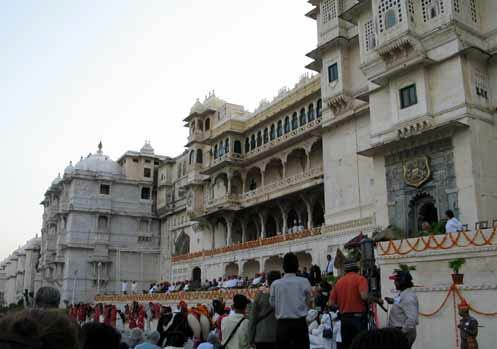 A Ceremony Honoring the Rajput Horse with the Maharana of Udaipur. 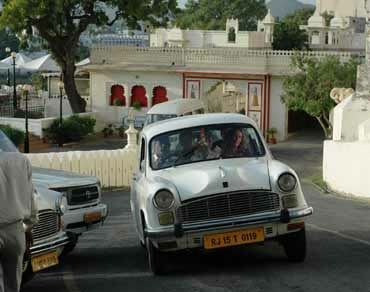 We drove up to the palace in a fleet of trusty Ambassador cars. 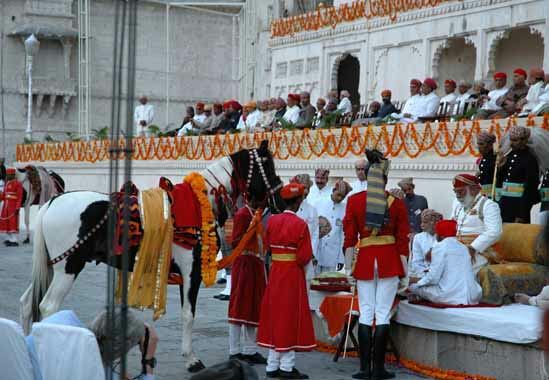 The Maharana of Udaipur blessed several beautiful horses who were sprinkled with holy water and given garlands of marigolds. 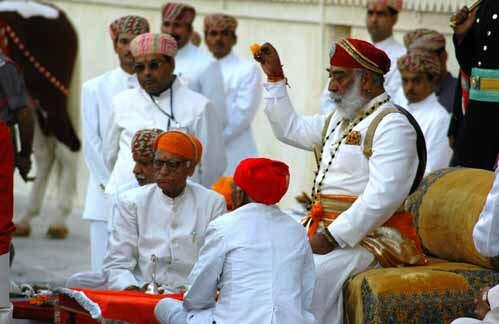 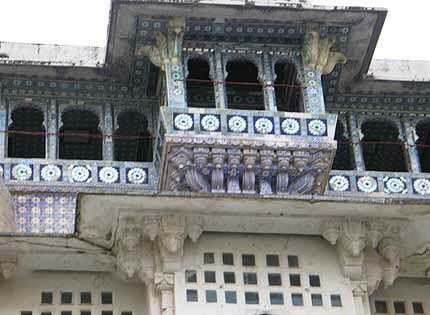 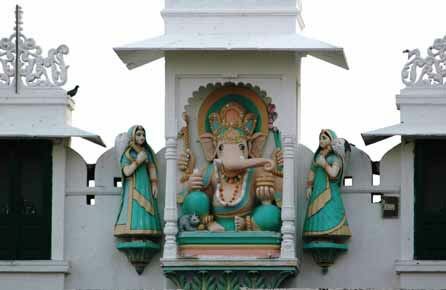 Solara and Nova with the Maharana of Udaipur.